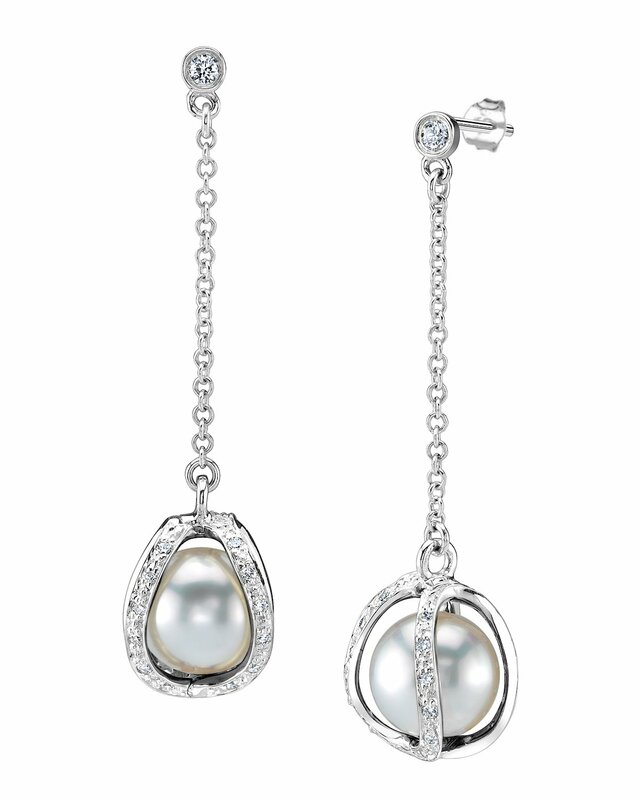 These exquisite pearl earrings feature two lustrous 8mm AAA quality White South Sea pearls. The pearls are mounted in a 14K gold and diamond caged closure. 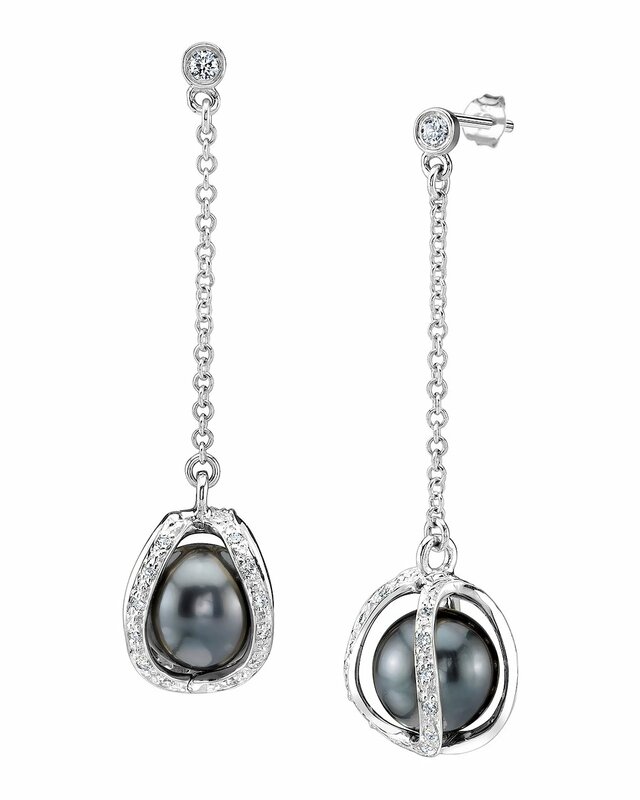 The earrings can be opened and pearls can be removed and swapped with different pearls at your convenience. Additional pearls can be purchased with your earrings. 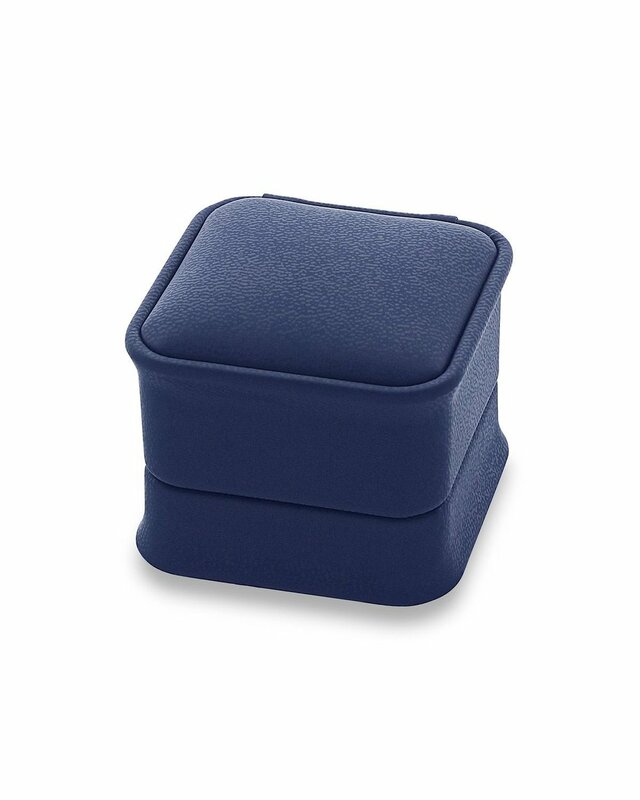 If you have any further questions, feel free to speak to one of our pearl experts by calling 866-87-PEARL (866-877-3275).